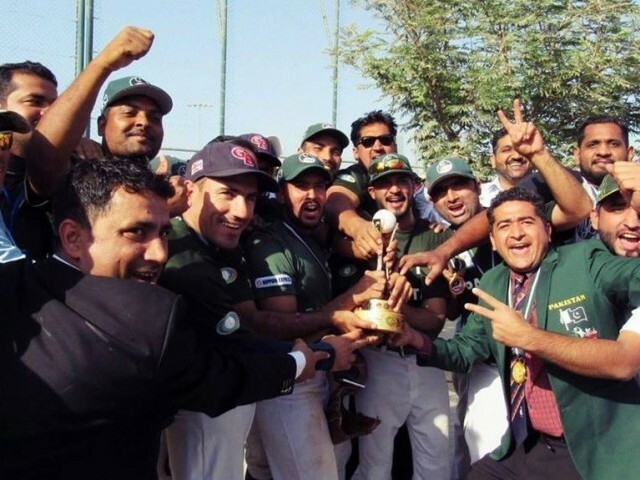 The Pakistan Baseball team won gold after defeating India 11-2 in the Dubai Baseball Cup at Emirates Little Baseball Field on UAEâ€™s Independence Day. The Greenshirts scored 11 runs in nine innings, while India could only manage once apiece in the second and third innings. Umair Imdad Bhatti was the player of the match with five runs to his tally, which included a home run. Pakistan Baseball Federation (PBF) Executive Director Syed Fakhar Ali Shah told The Express Tribune that the win will help Pakistan climb up the rankings ladder. Quote: The team played really well and performed outstandingly against India.Â This will help Pakistan in rising up the world rankings. Fakhar added that the match was held as an alternate to the West Asia Cup, which was held in Islamabad earlier in February where teams from Sri Lanka, Nepal, Iraq, Iran and Pakistan took part, but India were unable to participate as they were not granted visas. Quote: The Indian team was not issued Pakistani visas and missed the event which also affected their ranking, so Pakistan and Indian Baseball Federation decided to play a rankings match at a neutral venue. Following the agreement both federations requested the World Baseball Softball Confederation (WBSC) and they gave this match the desired stature. Too bad as now they will stop playing against Pakistan.